Great for any little sports fan! This Baby Purple One Piece Set features a 3-pack set with screen print team graphics on front. 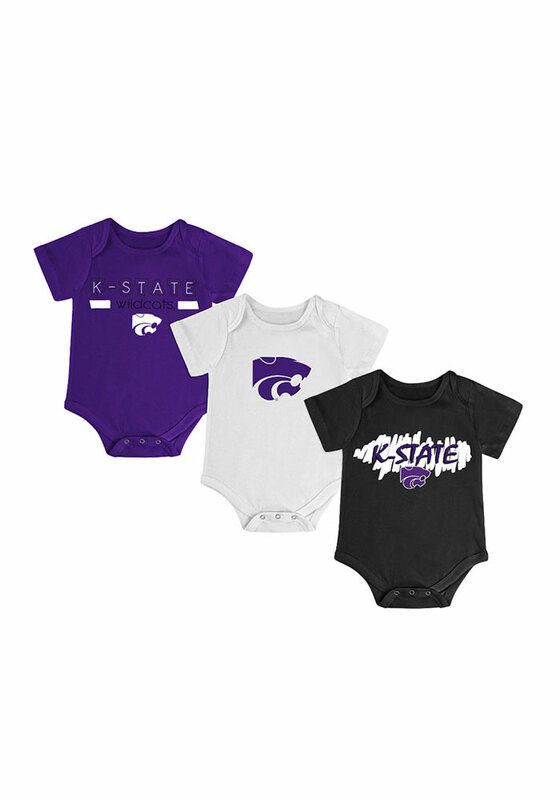 You'll love dressing up your future Wildcats fan in this K-State Wildcats Baby Purple Triple Play One Piece Set.